For thousands of years, people have wanted to move on the water. They have used boats and ships to fish, to travel, to explore, to trade or to fight. Throughout the time that people have been building boats and ships, they have made changes to them, to make travelling on the water easier, faster and safer. No-one knows exactly when the first boat was invented. In prehistoric times, people probably discovered that they could keep themselves afloat by clinging onto fallen logs or bundles of reed. Gradually, they learnt how to hollow out logs to make rafts. Dug-outs and rafts meant that people could cross water without getting wet. They could also carry things and animals. Archaeological evidence indicates that humans arrived on Borneo at least 120,000 years ago, probably by sea from Asia-China mainland during an ice age period when the sea was lower and distances between islands shorter. The ancestors of Australian Aborigines and New Guineans also went across the Lombok Strait to Sahul by boat over 50,000 years ago. There were two different ways of building a ship. The shell method was the oldest way. A shell is made first, and then strengthened with planks. It means that the builders work from the outside in. Shell method built ships were small and not well suited for ocean travel. The frame-first method involves working from the inside out. A wooden frame is built first, and then planks are nailed to it. Boats and ships built like this are stronger, and better able to stand up to a long sea voyage. Egyptians were among the earliest ship builders. The oldest pictures of boats that have ever been found are Egyptian, sculpted or painted on vases and in tomb walls. These images, at least 6000 years old, show long, papyrus reed narrow boats powered by rowers. Evidence from Ancient Egypt shows that the early Egyptians knew how to assemble planks of wood into a ship hull with tree-nails to fasten them together, using pitch for caulking the seams as early as 3000 BC. The ships of Ancient Egypt’s Eighteenth Dynasty were typically about 25 meters (80 ft) in length, and had a single mast, sometimes consisting of two poles lashed together at the top making an “A” shape. They mounted a single square-sail on a yard, with an additional spar along the bottom of the sail. These ships could also be oar propelled. 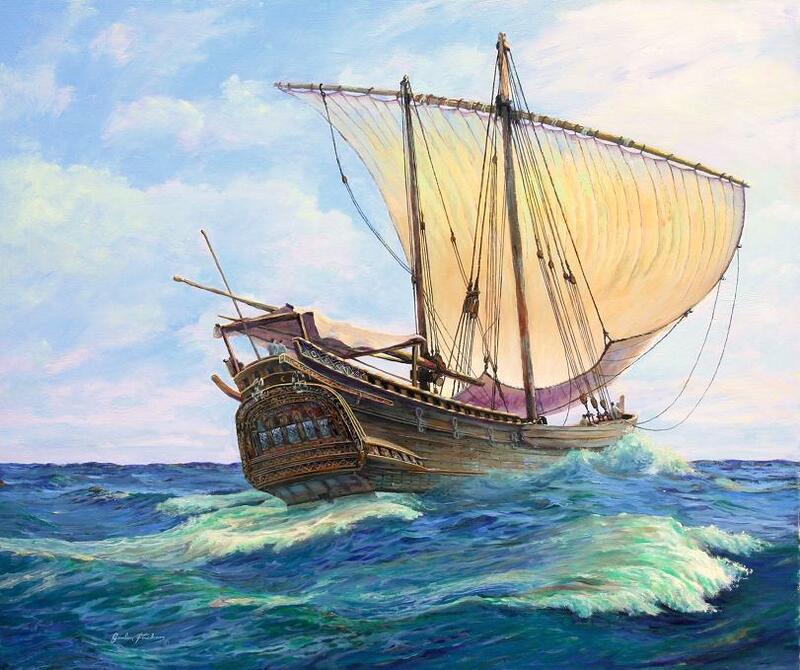 Between 1200 and 900 BC, the Greeks and the Phoenicians began to build up their sea trade and navies. They used galleys, both as merchant ships for trading, and as warships. The Phoenicians made many long sea journeys, as far away as the British Isles looking for tin, but stayed quite close to the coast. The Greeks and probably others introduced the use of multiple banks of oars for additional speed, and the ships were of a light construction for speed and so they could be carried ashore. Their fighting galleys were powered by rowers, sitting in one, two (biremes) or three lines (triremes). Galleys continued to be used as late as the 18th century. The main weapon of the galley was a ram, a pointed piece of wood fixed to the bow of the ship, used to crash at fast speeds into the side of the enemy ship. The warships also carried archers and early ballistic weapons. Sometimes the galleys were fitted with a mast and one square sail, but they were taken down during battles. The Chinese ship-building history stems back to the Spring and Autumn Period (722 BC–481 BC) of the ancient Chinese Zhou Dynasty. The Chinese built large rectangular barges known as “castle ships”, which were essentially floating fortresses complete with multiple decks with guarded ramparts. The ancient Chinese also built ramming vessels as in the Greco-Roman tradition of the trireme, although oar-steered ships in China lost favor very early on since it was in the 1st century China that the stern-mounted rudder was first developed. This was dully met with the introduction of the Han Dynasty junk ship design in the same century. The Vikings were another great seafaring people and pioneers in shipbuilding. They considered their ships very special and an extension of themselves so they tried to make them look beautiful, by carving elaborate decorations on them. Using longships, the Vikings set out from Scandinavian countries like today’s Norway, Sweden and Denmark every summer and raided other countries in the Atlantic coast of Europe. Viking ships had one square sail made of wool, and a row of oars on each side. There was a steering oar at the back on the right-hand side. The ship was developed from an alternate tradition of clinker-built hulls with overlapping planks fastened with leather thongs. Gaps between the planks were stuffed with animal hair to keep the water out. Vikings did not have compasses. They worked out their directions by celestial navigation. They also remembered the landmarks, birds and sea creatures they saw on their voyages. Life on board was hard, there was no cabin for sheltering in bad weather, so Viking ships could not be used in winter. Even so, Vikings made extremely long journeys in their ships. There is evidence that the exiled Viking king Erik the Red discovered and colonized Greenland in North America. Viking elite used their ships as vessels to the underworld (Valhalla). The body of someone important would be placed inside and then the whole ship would be buried or burned. I n medieval times, ships in the northern part of Europe began to change. Ships began to be built with straight stern-posts instead of curved ends. Sailors found it was easier to steer ships if the steering oar was fixed onto the stern-post. This stern rudder made even the heaviest boat easier to steer. Ships were built using the frame-first method so they were stronger. Fighting platforms called castles were built high up at the front and the back of the ship for archers and stone-slingers. Ships needed to be strong and roomy enough to carry large cargoes. Outside Medieval Europe, great advances were being made in shipbuilding. The shipbuilding industry in Imperial China reached its height during the Sung Dynasty, Yuan Dynasty, and early Ming Dynasty, building commercial vessels that by the end of this period were to reach a size and sophistication far exceeding that of contemporary Europe. The mainstay of China’s merchant and naval fleets was the junk, which had existed for centuries, but it was at this time that the large ships based on this design were built. During the Sung period (960–1279 AD), the establishment of China’s first official standing navy in 1132 AD and the enormous increase in maritime trade abroad (from Heian Japan to Fatimid Egypt) allowed the shipbuilding industry in provinces like Fujian to thrive as never before. The largest seaports in the world were in China and included Guangzhou, Quanzhou, and Xiamen. In the Islamic world, shipbuilding thrived at Basra and Alexandria, the dhow, felucca, baghlah and the sambuk, became symbols of successful maritime trade around the Indian Ocean; from the ports of East Africa to Southeast Asia and the ports of Sindh and Hind (India) during the Abbasid period. At this time islands spread over vast distances across the Pacific Ocean were being colonized by the Melanesian and Polynesians, who built giant canoes and progressed to great catamarans. 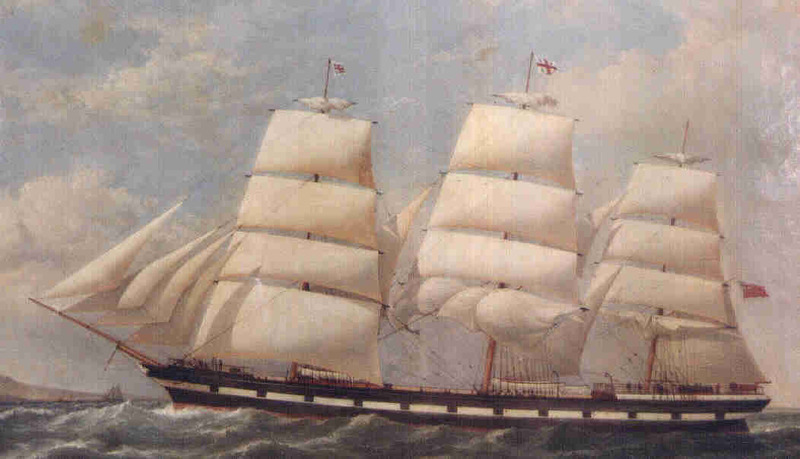 To make the ships sail faster, more masts and sails were fitted. In the 14th century a larger trading ship was developed called the carrack. This was carvel built (the planks did not overlap) and had three masts. There were square sails on two masts and a triangular sail on the mast at the back. Carracks that were used as warships were armed with great guns. In the 16th century, holes called gunports were cut in the sides of the ship for the cannon to fire through. By that time, the invention of the compass and other instruments like astrolabes made navigation much easier. With the development of the carrack, the west moved into a new era of building the first regular ocean going vessels. These were of unprecedented size, complexity and cost. Shipyards became large industrial complexes and the ships built were financed by consortia of investors. By the 18th century shipbuilding had stayed the same for hundreds of years. The ships were still made of oak and were very strong. About 2000 trees were needed to build one warship. The planks of the ship were fixed edge-to-edge with wooden pegs called treenails. From 1783, navy ships were given a thin covering of copper to stop sea worms from eating holes in the wood making ships more expensive to build but with a longer service life. Ships built out of wood can not be built much longer than about 80 meters The timber frames also take up quite a lot of space. Other than its widespread use in fastenings, iron was gradually adopted in ship construction in the 19th century, initially in discrete areas in a wooden hull needing greater strength, (e.g. as deck knees, hanging knees, knee riders and the like). Then, in the form of plates riveted together and made watertight, it was used to form the hull itself. Iron ships could be much larger, with lots more space for carrying cargo and they needed much less maintenance keep them in good condition. Steel also supplanted wrought iron when it became readily available in the latter half of the 19th century, providing great savings when compared with iron in cost and weight. Wood continued to be favored for the decks, and is still the rule as deck-covering for modern cruise ships. During that time ships began to be fitted with steam engines, first used in paddle steamers, where the engine turned two paddle wheels. Paddle steamers were not suited to the open sea because in heavy seas the waves lifted one wheel right out of the water while the other one went right under, and this strained the engines. The great Mississippi river boats were paddle steamers. From the 1840’s, screw propellers replaced paddle wheels in steamships. Propellers work much more efficiently and are still used on most ships today. 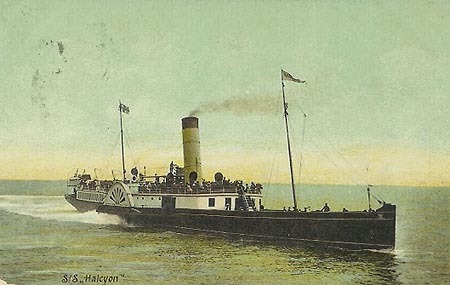 Steam ships still had some serious problems such as the great deal of coal needed to travel even fairly short distances. On a voyage to a distant part of the world, there might not be anywhere to collect more coal. For this reason, ships continued to be fitted with sails even though they carried engines. Today, diesel or steam-turbine engines use fuel much more efficiently. In the 20th century, shipbuilding (which encompasses the shipyards, the marine equipment manufacturers, and many related service and knowledge providers) grew as an important and strategic industry in a number of countries around the world. Historically, the industry has suffered from the absence of global rules and a tendency towards (state-supported) over-investment due to the fact that shipyards offer a wide range of technologies, employ a significant number of workers, and generate income as the shipbuilding market is global. Shipbuilding was therefore an attractive industry for developing nations. Japan used shipbuilding in the 1950’s and 1960’s to rebuild its industrial structure; South Korea started to make shipbuilding a strategic industry in the 1970’s, and China is now in the process of repeating these models with large state-supported investments in this industry. Conversely, Croatia is privatizing its shipbuilding industry. Today, South Korea is the world’s largest shipbuilding nation with a global market share of 37.45% in 2011. South Korea is the global leader in the production of advanced high-tech vessels such as cruise liners, super tankers, LNG carriers, drill ships, and large-sized container ships. In the 3rd quarter of 2011, South Korea won all 18 orders for LNG carriers, 3 out of 5 drill ships and 5 out of 7 large-sized container ships. China is an emerging shipbuilder that briefly overtook South Korea during the 2008-2010 global financial crisis as they won new orders for medium and small-sized container ships based on their cheap prices, although its current production is limited mainly to basic vessels. Modern shipbuilding makes considerable use of prefabricated sections. Entire multi-deck segments of the hull or superstructure will be built elsewhere in the yard, transported to the building dock or slipway, then lifted into place. This is known as “block construction”. The most modern shipyards pre-install equipment, pipes, electrical cables, and any other components within the blocks, to minimize the effort needed to assemble or install components deep within the hull once it is welded together. This entry was posted in Maritime history, Ship design and tagged Carrack, maritime, shipbuilding, steamship, trireme by svmblogger. Bookmark the permalink.